As you all can tell, the Plot Your Escape event did, in fact, turn out to be real. I may have been the only one on the face of the Earth who was worried about a possible scam, but to me…no info on the internet can be a deal breaker. The internet knows all and owns a part of my soul. 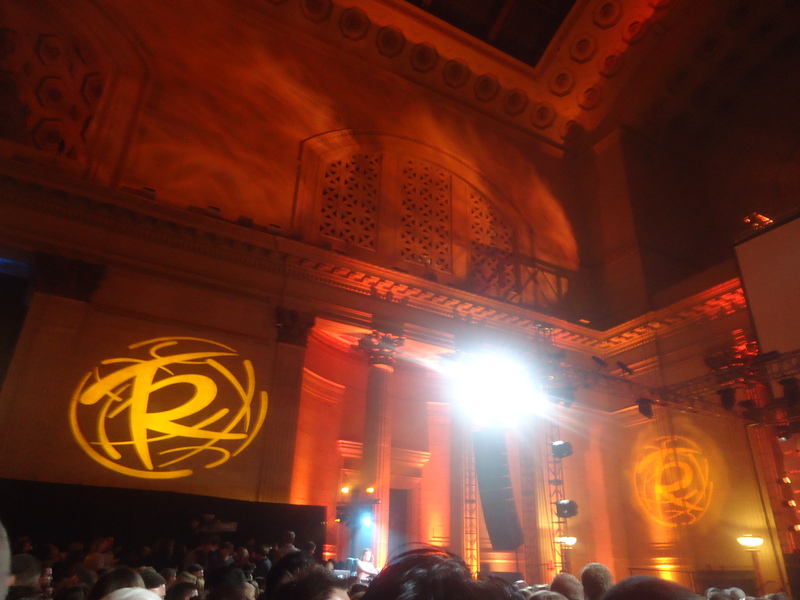 Illuminated in purples and oranges, Union Station’s Great Hall was peppered with music fans as well as individuals who considered themselves to be “Chicago’s finest” last night at Caesars Entertainment’s Total Rewards event. (Yes, that was intended to be a snide remark. I’ll get to that shortly.) Rockstar Energy Drink representatives thrust cans of new product into our hands, and a size Large “Plot Your Escape” t-shirt was tossed our way immediately upon arrival. Concert goers were able to grab drinks at one of the 4 bars they passed upon walking into the venue, though I’m not quite sure how they did that with all of the sponsor swag weighing them down. But hey, sometimes, when alcohol is on the line, amazing things happen. Hosting the event was E!’s dream team, Bill and Giuliana Rancic. They chatted up the Caesar’s Total Rewards program and introduced videos of the other three Plot Your Escape shows, happening simultaneously in L.A., New Orleans and New York City. Really, all I could focus on when they were happily presenting was how much I wanted Giuliana’s blazer. and shirt. and pants. and life. 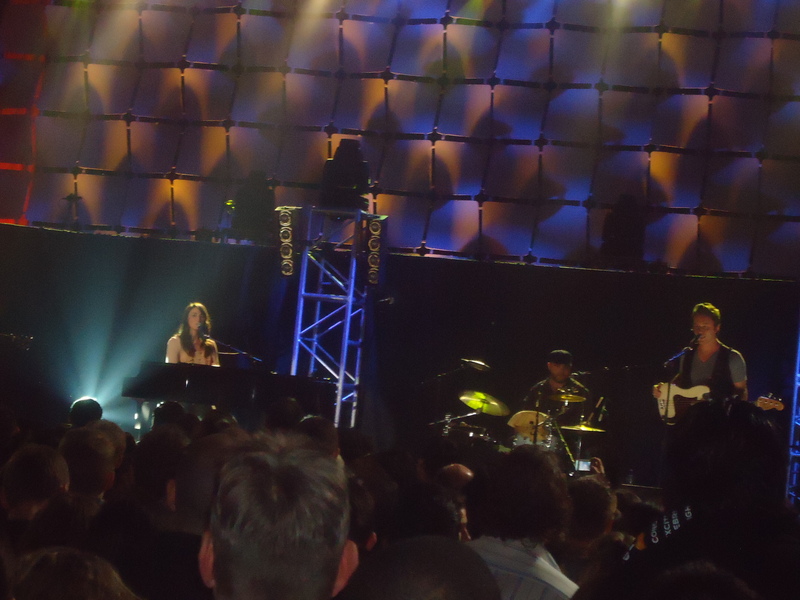 Sara Bareilles opened up the show without a missed note in sight and her voice filled the high ceilinged venue easily. I realize I mentioned this yesterday, but she is able to deliver a musically flawless performance every time I see her or catch her live on TV. She simply does not miss a note and plays the piano with ease. Does she know that? Oh, I’m sure she does. She has to. Her success proves she has something going for her. But here’s one of my favorite things about this California native: she’s extremely modest and down to earth. She acts genuinely happy when the crowd applauds and jokes around between songs. 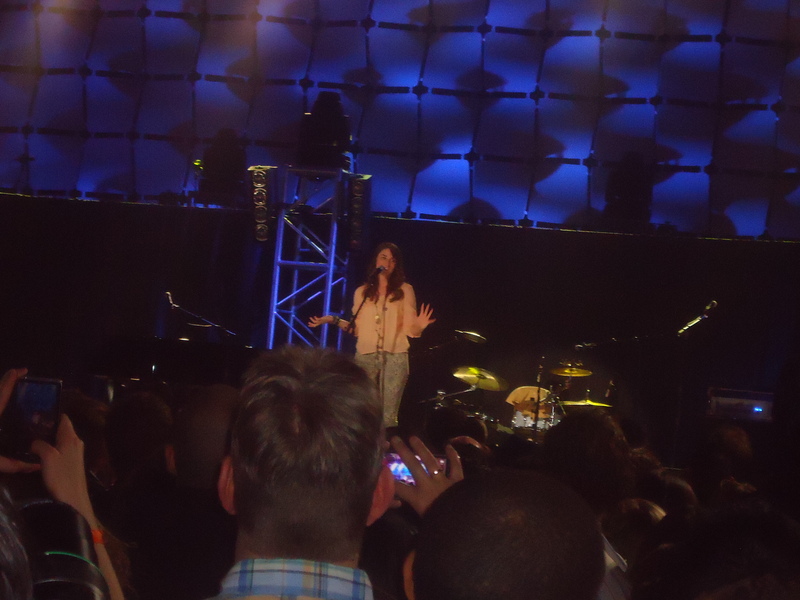 I do, sadly, have two negative things to say about Sara Bareilles’ performance. No, Sara. It’s not you. It’s the people in the audience who would not shut up during your set, particularly during the a cappella version of “Gravity.” Shout out to the beer bottle dropping girls I had the pleasure of standing next to all night (prepare: aforementioned snide remark is about to be broken down). No, really. I liked hearing you shout about your job, the craaazy people you work with and then having you shove past me to get more drinks. You obviously needed them. And big time shout out my friendly neighbor who gabbed all through Bareilles’ “Gravity” performance (listen below) and told all of her friends that she spent all last night Googling Devon Sawa. First off, it’s not 1995. Second, I truly feel like a better person now that I know this. I apologize if this comes off as rude, but I promise you won’t think I’m a bitter old hag after you listen to the below recording. Second negative: the set was too short! Also, my apologies for the less than professional recordings. I’ve never sold myself as a camera woman and I promise I never will. After a few clips of Diddy re-living his glory days in NYC, the Rancics returned to the stage to introduce Maroon 5. I learned pretty quickly that Maroon 5 was there as the main attraction, as they took the stage with flashing lights and an energy filled rendition of “Moves Like Jagger.” I also learned pretty quickly that Adam Levine has an energy source tucked away in that body of his that can only be rivaled by who has moves like: Mick Jagger. He flew across the stage during most songs and I only caught him grab one quick swig of water. And, trust me…I was watching pretty closely. I’m about to make a bold statement. Prepare accordingly. In my experience as a music fan, most pop/pop-rock artists can be a bit of a let down when they perform live. They don’t have all of the computers hooked up to make their voices perfect, and their band can’t do 5 takes of the same bridge. Maroon 5, on the other hand, proved to be at the complete opposite side of the spectrum. They excelled during their live performance and made me appreciate how musically talented they truly were. 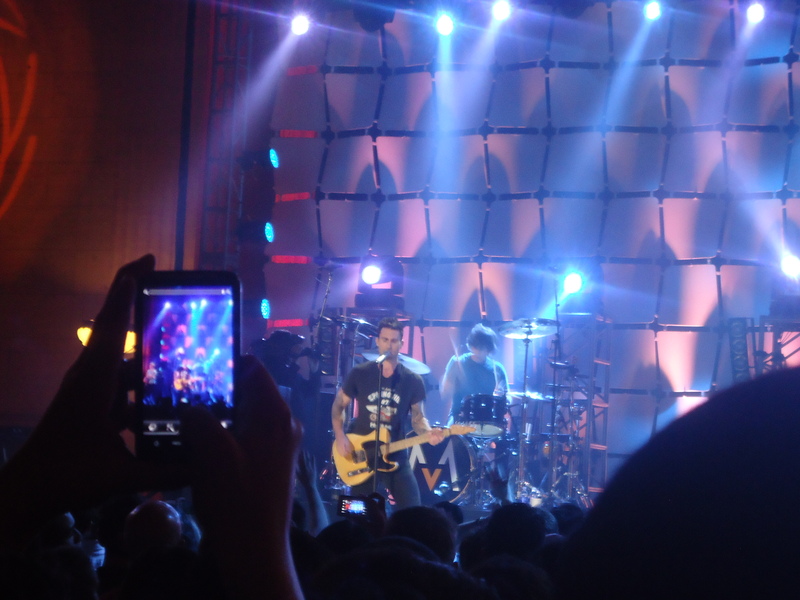 Levine and James Valentine, the group’s Kurt Cobain look a like guitarist, delivered multiple guitar solos and musical moments that are often left out of a studio cut album. I was a Maroon 5 fan before the show, but I walked away as someone who truly admires their ability to showcase musical talent. Again, I’m sorry about my not so stellar recordings, but pay special attention to the guitar moments in “Wake Up Call.” I challenge you to walk away unimpressed. I also apologize for the shortness of “Moves Like Jagger,” but I wanted to bop along to the song. 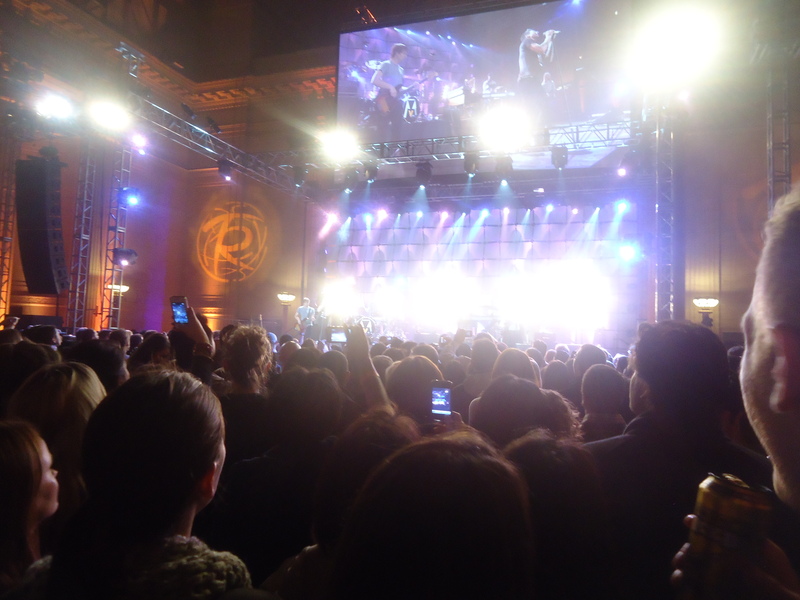 A special thank you to Jimmy Kimmel and Caesars Entertainment’s Total Rewards for putting on the free event, Sara Bareilles and Maroon 5 for performing and Union Station and the Rancics for hosting. I’m still not sure how I was lucky enough to snag tickets, but I’ll take it. Tags: Bill Rancic, Caesar's Entertainment, Caesar's Entertainment Total Rewards, Chicago, Giuliana Rancic, Jimmy Kimmel, Maroon 5, Plot Your Escape, Sara Bareilles, Union Station. Bookmark the permalink.